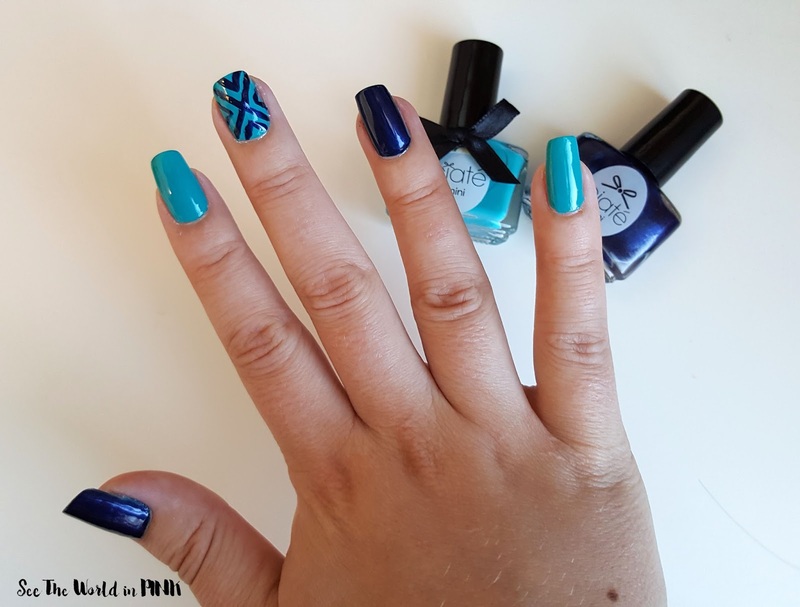 This month the Canadian Beauty Bloggers are focusing on the theme "British Beauty" so I thought for this week's mani I would feature a look using a British nail polish brand (that I love) - Ciate! This week's manicure was pretty simple - I still only have time for nails right now during baby naps so bear with me!!! I painted each base colour with 2 coats of polish. 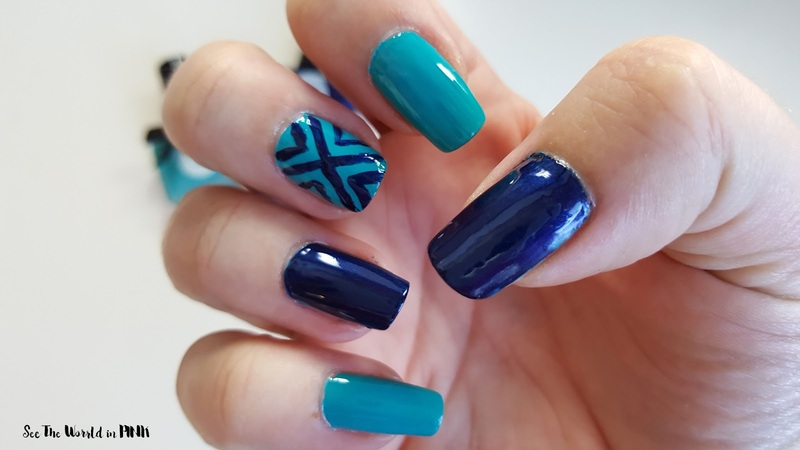 Then I used a nail art brush with the dark blue polish, painted a big X in the middle and little triangles on the edges. Have a great week - what did you do for Manicure Monday?